Register today for the RAIC EP Bidding & Contract Award and Contract Administration live webinar by CA expert, CHOP contributor and experienced instructor Jim Mansfield and Senior Contract Administrator, Michael Paquette. This is your chance to ask the experts and gain insight beyond the reference materials as you explore the practical application of Contract Administration procedures and theory! Earn 10 Structured/Core continuing education credits for participating. 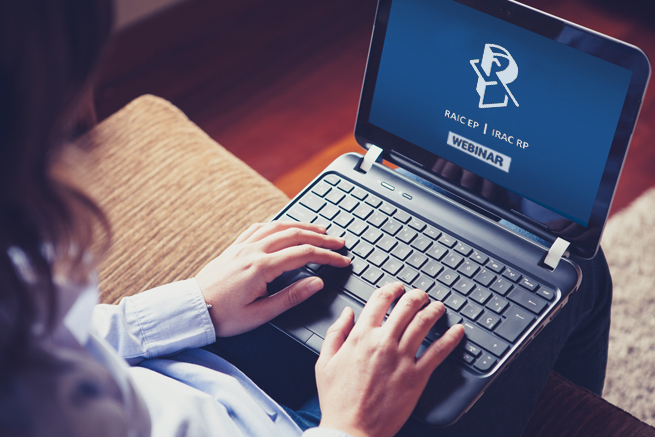 This is also an excellent opportunity for those writing the 2019 ExAC exams and is why the RAIC Emerging Practitioners group initially developed this comprehensive and interactive Contract Administration live webinar and lecture session. This advanced course goes beyond the reference materials into the practical application of the procedures and theory giving you insights to Bidding & Contract Award and Contract Administration you could not learn by studying alone. Cost: $200 for RAIC Members, Please select the 'pay later' option to receive the member discount* . *When registering for the RAIC EP Bidding & Contract Award and Contract Administration Webinar 2019 as a member , you are agreeing to a 'pay later' option. An invoice will be sent by email within a week of your purchase, However, you will be considered enrolled at the time of your online registration, prior to receiving the invoice. This Webinar is presented at an advanced level; it is intended for students who are familiar with the reference materials, are currently working in the construction industry, and have some experience with these project stages. Instructor, Jim Mansfield, has 40+ years of contract administration experience, including hospitals, airports, and large scale commercial developments. Jim taught project management at Ryerson University for 25 years, lectured to the OAA admissions course on contract administration, was an instructor at George Brown College for specification writing, and developed and taught the construction management course for the OGCA. Mr. Mansfield is a Registered Specification Writer, on the RSW admissions committee. Michael Paquette has over 30 years experience as an Architectural Project Manager and Contract Administrator. Having completed projects in healthcare, defense, corrections, federal and provincial institutions, education and commercial using various forms of Contract, Michael shares his experience of these projects and delivery models. A regular instructor with CSC for the PCD and CCCA programs, Michael also leads the QA/QC group with his current employer where he is a Senior Associate. Michael is an accredited Architectural Technologist with the AATO and member of CSC Ottawa Chapter. The ExAC is an experience-based exam. It is the practical application of knowledge acquired through education and readings that will support examination success. Taking this course without applying the knowledge gained through practice may not result in examination success. Neither the Webinar nor the content of the course have been reviewed by the CExAC (Committee for the Examination for Architects in Canada).